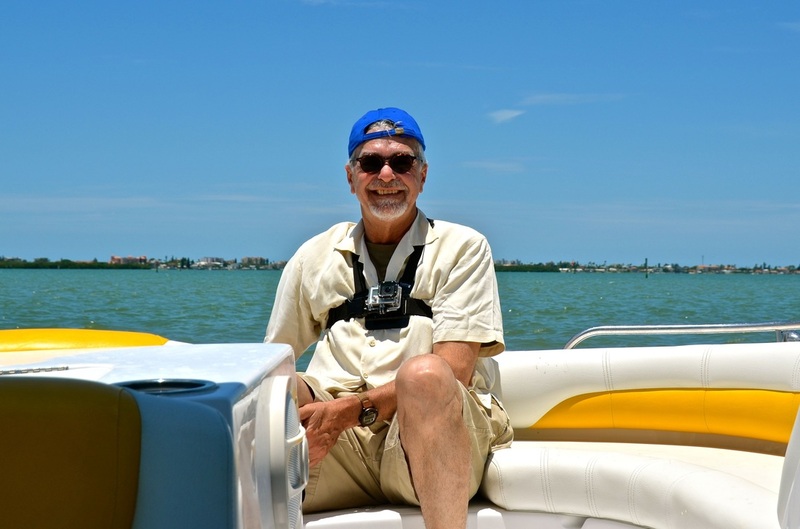 June 24, 2014 -- From the water, you still can see small sections of unspoiled shoreline that allow you to imagine what the conquistadors must have seen when they landed on the west coast of Florida almost 500 years ago. 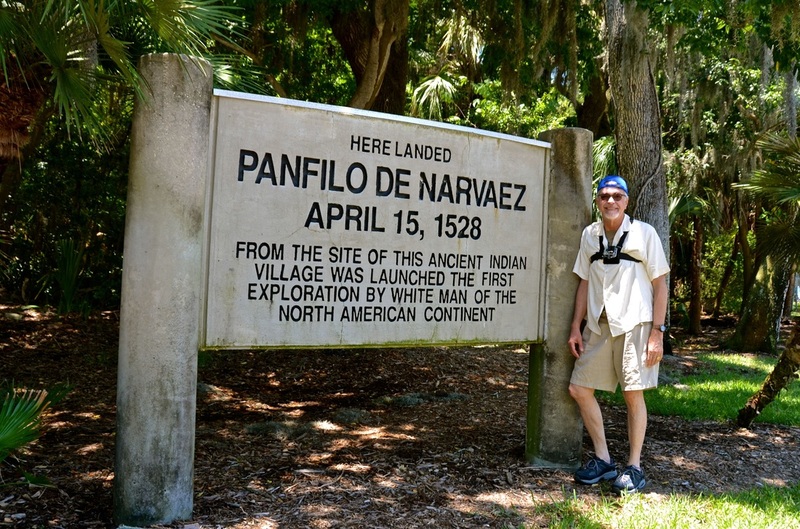 Seeking that vantage point, from the intercostal waterways near St. Petersburg, Florida, I discovered last week that you still can land on the same spot where Panfilo de Narvaez began his exploration of North America in 1528. A small waterfront park, flanked by beautiful homes, still marks the spot that "launched the first exploration by white man of the North American continent," according to the sign posted there. It's called Jungle Prada de Narvaez Park, and it's in St. Petersburg. You can drive there, but reaching it by water, realizing that Tampa Bay is extremely shallow and difficult for large vessels to navigate, and seeing the dense, swampy mangroves along the shoreline, helps you visualize the difficulties the Spanish explorers encountered. 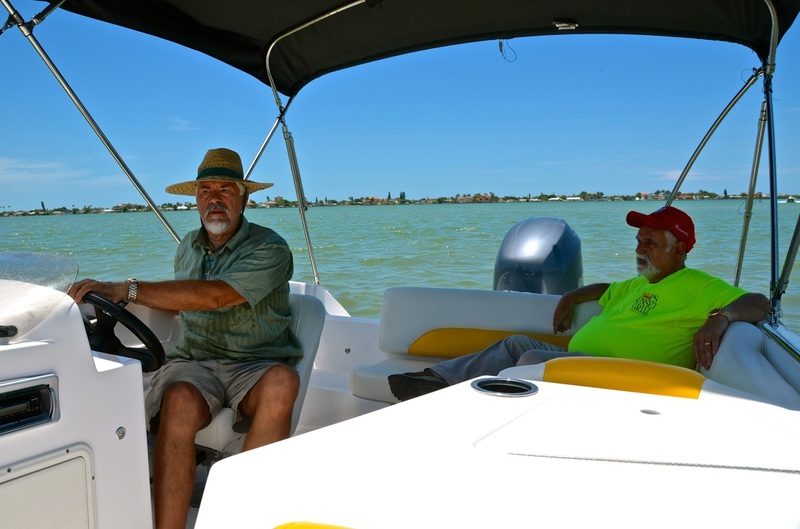 On a speedy 22-foot deck boat, with technology much more advanced than that of 16th-century Spanish carabelas, my friend Steve Rater led our expedition on this part of my Great Hispanic American History Tour in search of our often hidden Hispanic heritage. 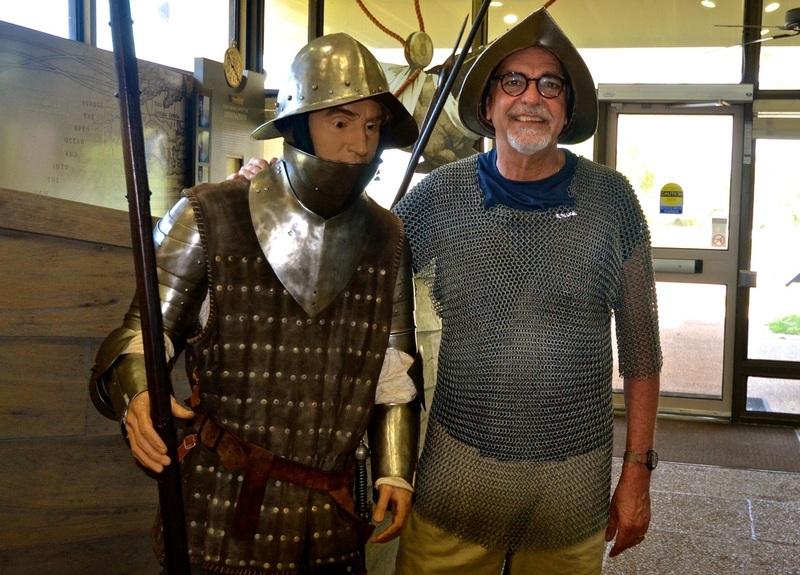 It was an unusual way to begin a cross-country road trip, but it gave us a more complete perspective of what the conquistadors encountered. During this trip, my quest is to expose the parks, monuments, exhibits, street markers and many other landmarks where our Hispanic heritage is deeply-rooted and yet often hidden right before our eyes. On Florida's west coast, as tourists bask in the beauty of the bone-white beaches and beautiful sunsets, they seldom take the time to dig into the area's rich history. Yet this is where several Spanish expeditions first made contact with North America and launched major explorations. We hear so much about Juan Ponce de Leon, St. Augustine and what happened on the Florida's east coast that we tend to neglect the huge historic events on the other side of the peninsula and the landmarks that are still there. 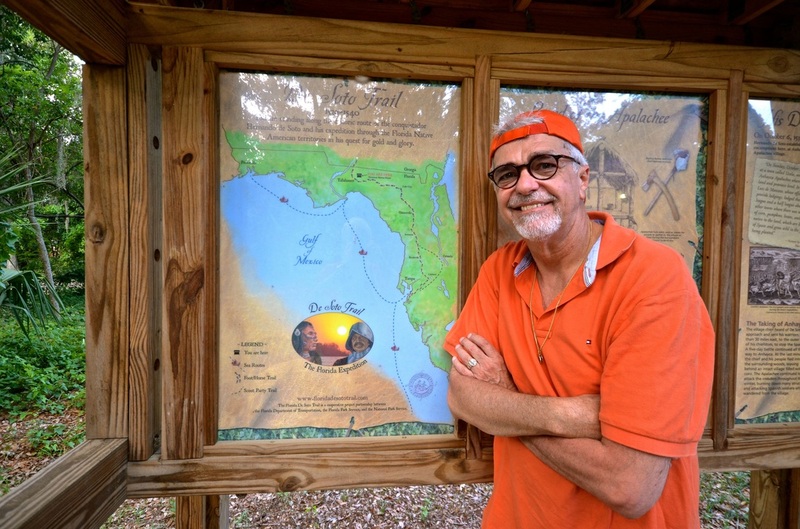 So moving forward with my own expedition — and taking notes and photos for many future columns — the next logical stop had to be Bradenton, Florida, where the National Parks Service recognizes the spot where the 1539 Hernando de Soto expedition first made camp. 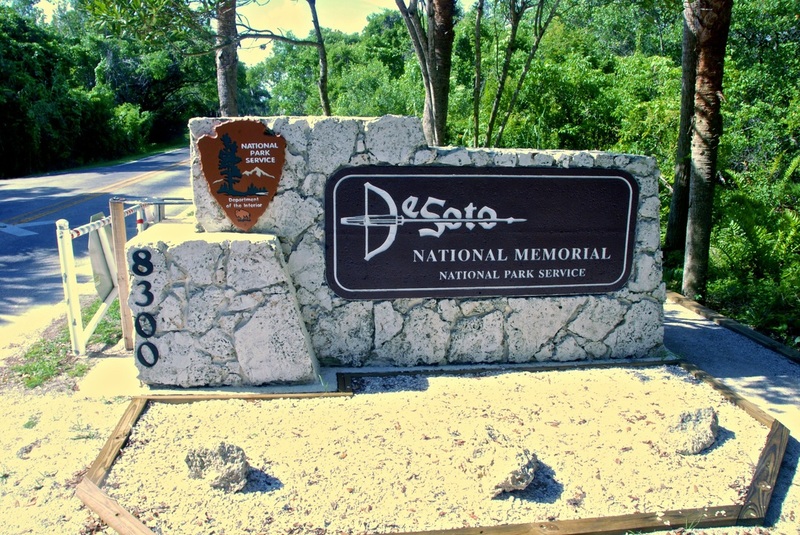 At the De Soto National Memorial park, visitors are met by fascinating exhibits, a video history lesson and opportunities to wear a Spanish soldier's helmet and chainmail armor. And after getting an education from all the exhibits, you can go on part of the De Soto Expedition Trail, a three-quarter-mile path that takes you through a pristine mangrove forest and out to the shores of the Manatee River. According to the sign posted there, "The lush mangrove and upland forest once covered much of the Tampa Bay coastline and presented an almost impenetrable obstacle for the De Soto expedition. These same forests also provided shelter, food and a protective barrier for the Florida Indians." 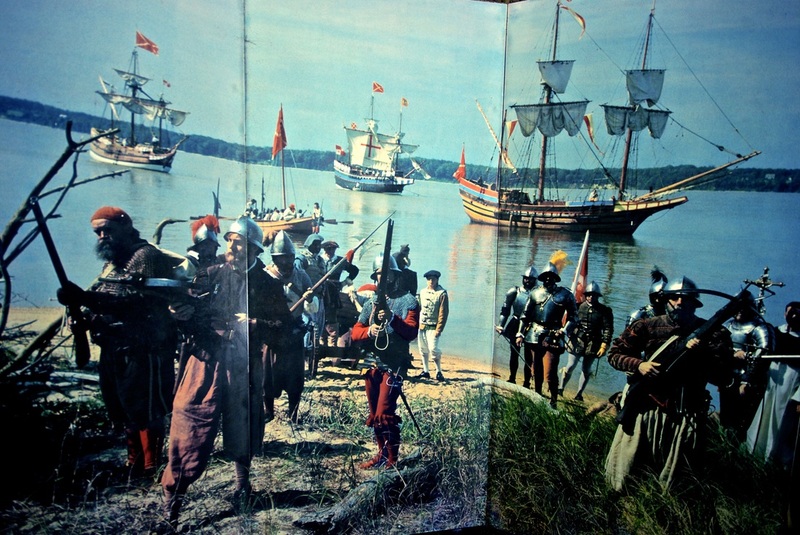 Cutting through the mangroves, de Soto and his 600 men took about three months to reach Anhaica, the main village of the Apalachee where they fought with the natives and settled for the winter. 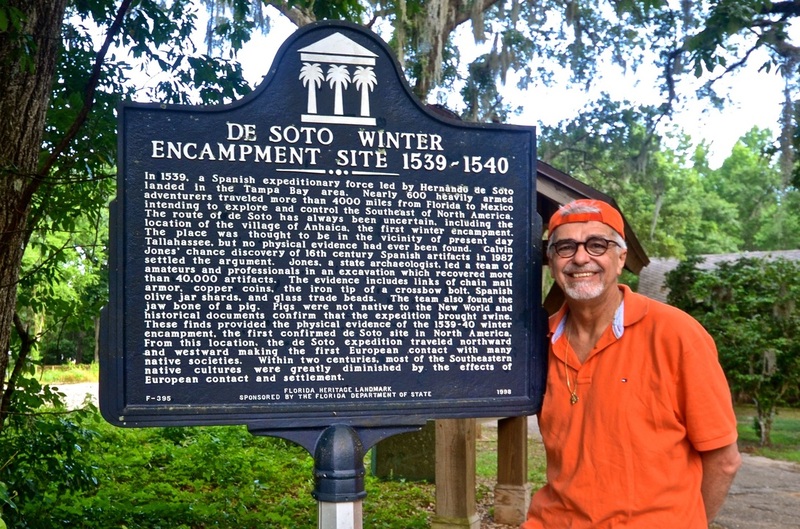 But it took my friend Gustavo and I less than five hours — mostly on highways that now follow de Soto's path — to the marker in present-day Tallahassee, where archaeologists found Anhaica in 1987 and where community activists now are working to create an attraction to commemorate the site of "America's First Christmas," undoubtedly celebrated there in 1539. While Florida travel has improved considerably over the past 500 years, Gustavo and I are constantly in awe of the vast land these men covered mostly on foot while herding pigs, horses, war dogs and fighting natives who stood in their way. 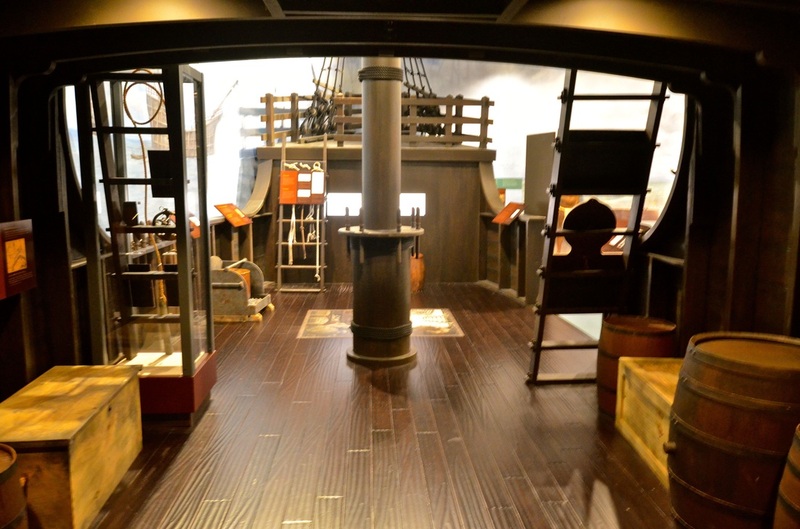 But you can get a much better feel for their journey when you visit Tallahassee's Museum of Florida History and its wonderful exhibit "Forever Changed," showing how Spanish exploration changed the world. 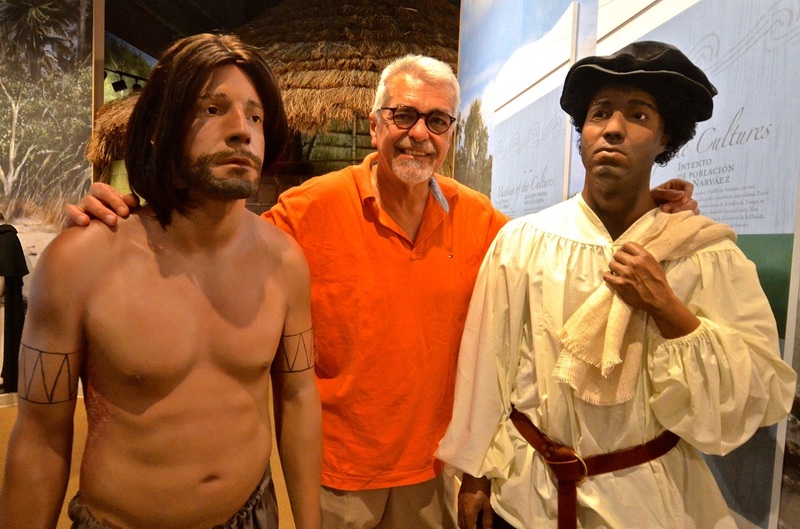 As part of this exhibit, you get to walk into a carabela, and you get to stand next to the lifelike wax figures of conquistadors who played vital roles in the exploration of North America, including Juan Ortiz and Estevanico, two survivors of the Narvaez expedition. Ortiz was captured by Florida natives and lived with them for 11 years until he hooked up with the 1539 de Soto expedition and served as de Soto's interpreter. Estevanico was an enslaved black man, born in Morocco, who traveled across North America with Alvar Nunez Cabeza de Vaca and managed to hook up with Spanish forces in present-day Mexico. He was killed by Zuni Indians when he served as a guide for the 1539 Fray Marcos de Niza expedition into present-day New Mexico. There are no photos or images of these two men. We know they existed, but no one knows what they really looked like. And yet they have been so imaginatively and impressively recreated for this exhibit that you want to have your photo taken next to them. And the same thing happens at Mission San Luis, another impressive attraction in Tallahassee where visitors get a good feel for what life was like in a North American Spanish mission at the start of the 17th century. 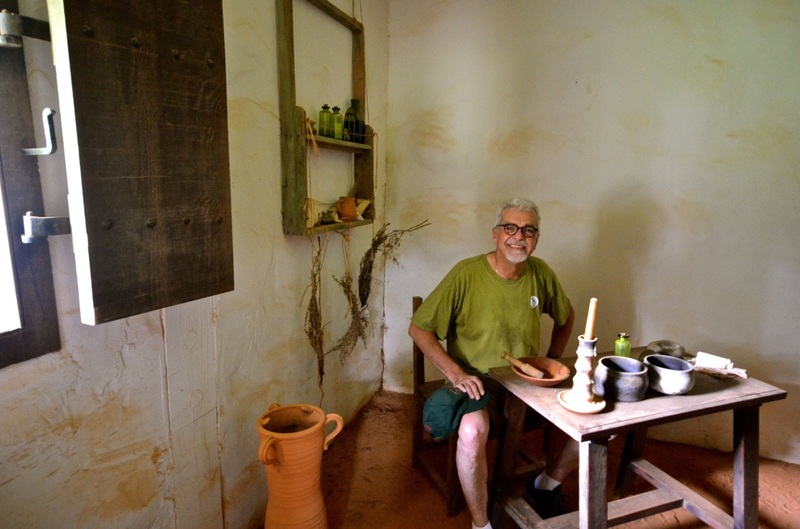 However, at San Luis, the historic figures are represented by real people, or "living history interpreters," who recreate life as it existed there from 1656 to 1704. During that time, Mission San Luis served as Spain's western capital in La Florida, with the largest number of European settlers outside of St. Augustine. 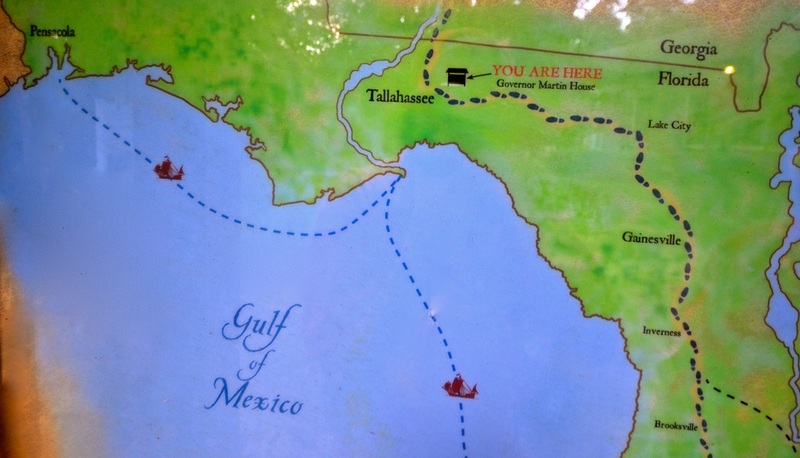 "At San Luis, Spaniards and Apalachees (who converted to Catholicism) came together and formed a community unlike any other in 17th-century Florida," according to literature displayed there. "We research and study these people who really existed here and then we personify them," said Arnold Roman Laboy, a living history interpreter who plays the role of a merchant mariner, Don Diego de Florencia. And it was Don Diego who taught me the proper way to pose for photographs next to a Spanish cannon. It was great! Laboy said that while many of the Mission visitors are Hispanic, most express shock in having discovered such a place. "They tell me, 'I've lived in Tallahassee my whole life, and I never knew this was here.'" As I keep saying, sometimes our Hispanic heritage is hidden right before our eyes! In next week's column: We go rowing on the same creek where many of Narvaez's men were massacred, where Ortiz was captured by the natives, and where Cabeza de Vaca and Estevanico escaped death.